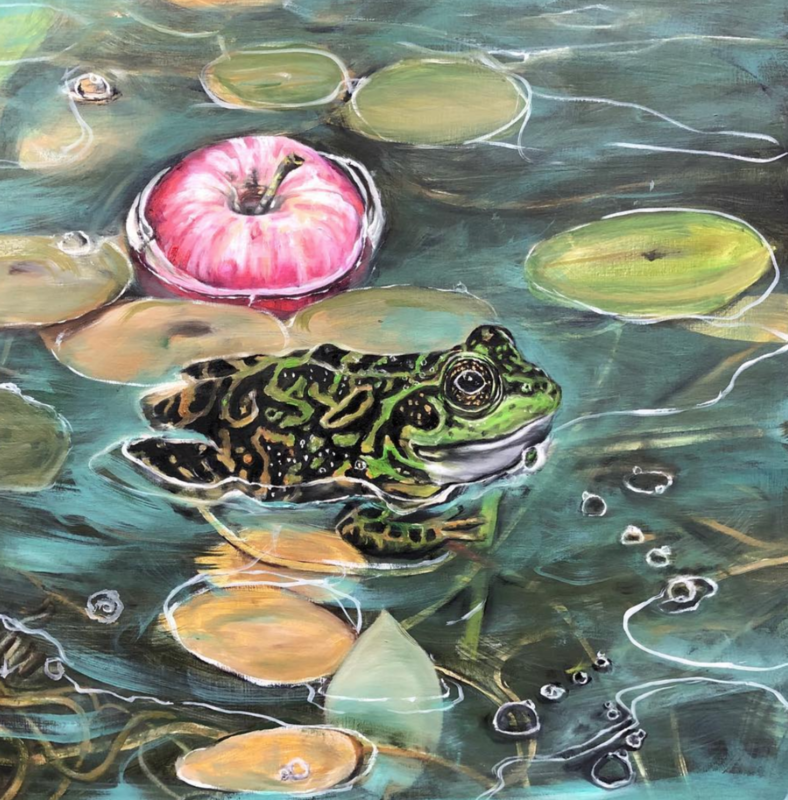 Now in its 4th year, SWAN Day Milwaukee is celebrating the power and diversity of women’s creativity with “Water: Reflection, Ritual & Resource”, an art exhibit at the Urban Ecology Center. SWAN Day MKE exhibitions explore themes of women’s artistic & spiritual connections to nature, and how these roots nourish one’s work, activism, and daily living. Over one-hundred women-identified artists of all ages, disciplines and levels of artistic experience residing in Milwaukee and surrounding areas have been invited to participate in an informal, non-juried celebration and exhibition. SWAN Day MKE participants reflect on the topic of water and create a piece that expresses their thoughts, relationship, experience, or practice related to water and how it connects us to place, people, ritual, and ancestry. Jamie Bilgo Bruchman, the lead organizer of SWAN Day MKE says, “The response to this year’s theme has been outstanding, and we are delighted once again to welcome dozens of new artists from a diverse range of artistic backgrounds, ages, cultures, and mediums.” Women from all over the greater Milwaukee area are coming together for what promises to be an amazing celebration. The exhibition runs from March 23rd to June 1st. There is also an opening reception on Saturday, March 23rd from noon to 3pm. For more information, connect with SWAN Day MKE on Facebook. Rozalia Hernandez-Singh, known as Aya, started drawing from a young age. Her work includes indoor and outdoor murals in the Milwaukee area and she has worked as a professional caricaturist for over 20 years in the Wisconsin and Illinois area. She is also illustrator for the book, "I am a girl of color," with author Deanna Singh. Learn more at www.artsbyaya.com. 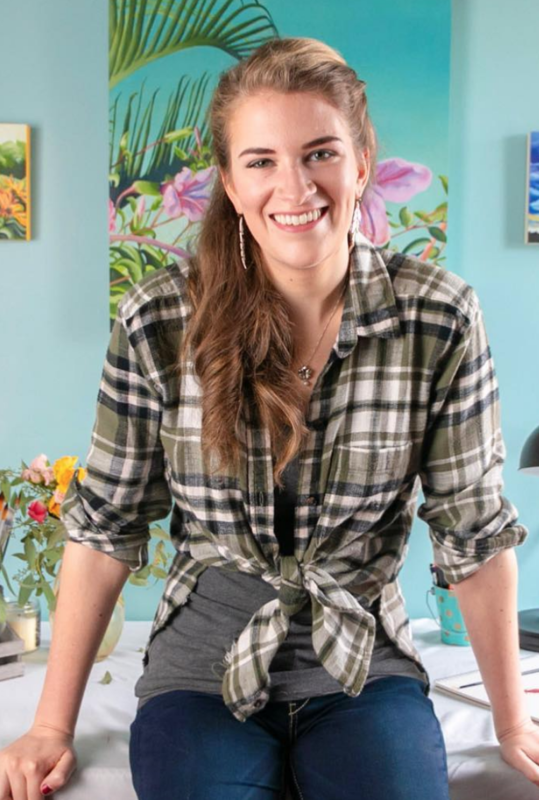 Brianna Joy Seipel is an artist and designer whose work celebrates stories of dynamic women and the landscapes that inspire us. You can find her on Instagram. Nova Czarnecki is a Milwaukee-based figurative oil painter and muralist. Learn more at www.novaczarnecki.com. 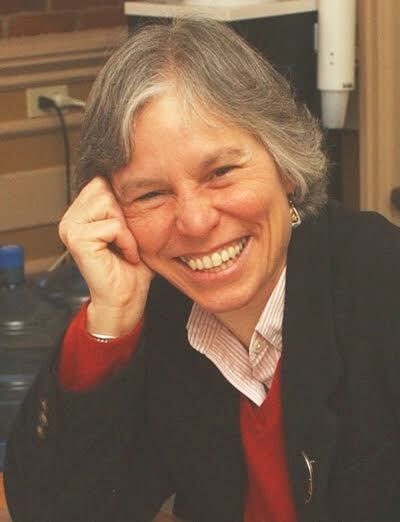 Rosy Petri is a quilter, print-maker, chef, artist, and owner of Paradise Home. She is also the recent recipient of the Pfister Artist in Residence. You can find Rosy on Etsy, Instagram, and at www.thisisparadisehome.com. Whitney Salgado is an artist and illustrator. A graduate from the Milwaukee Institute of Art & Design, Whitney is a 27 year-old digital artist studying and living in Wisconsin. She enjoys exploring color and is inspired by nature, dreams, and surrealism. 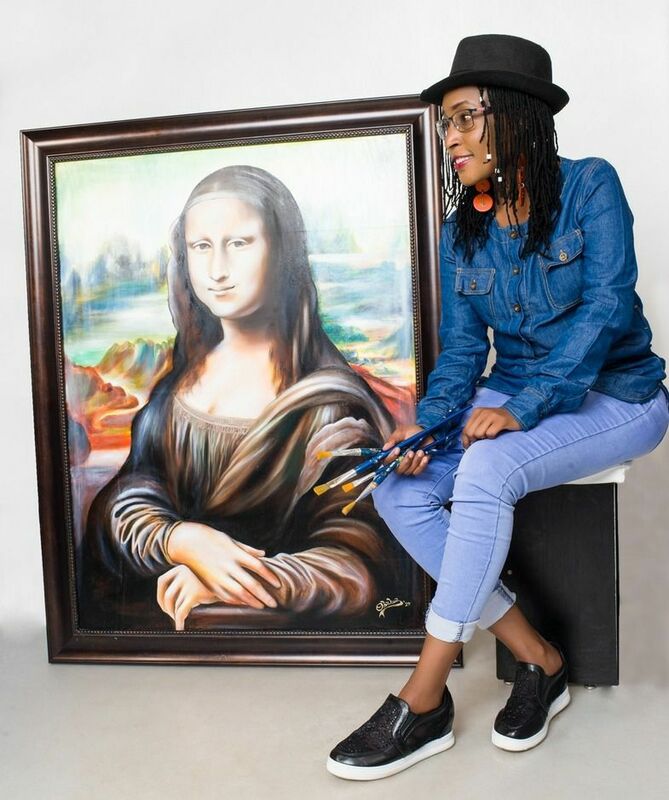 While she prefers working digitally, she is also practiced in traditional media and picks up acrylics from time to time. Find her work at www.whitneysalgado.com. Tara Monnink is a papermaker, printmaker, and photographer. She is also a RedLine Milwaukee Artist in Residence. You can find Tara on Instagram. Liala Amin’s artwork is an interpretation of spiritual experiences and an exploration of religious symbols. 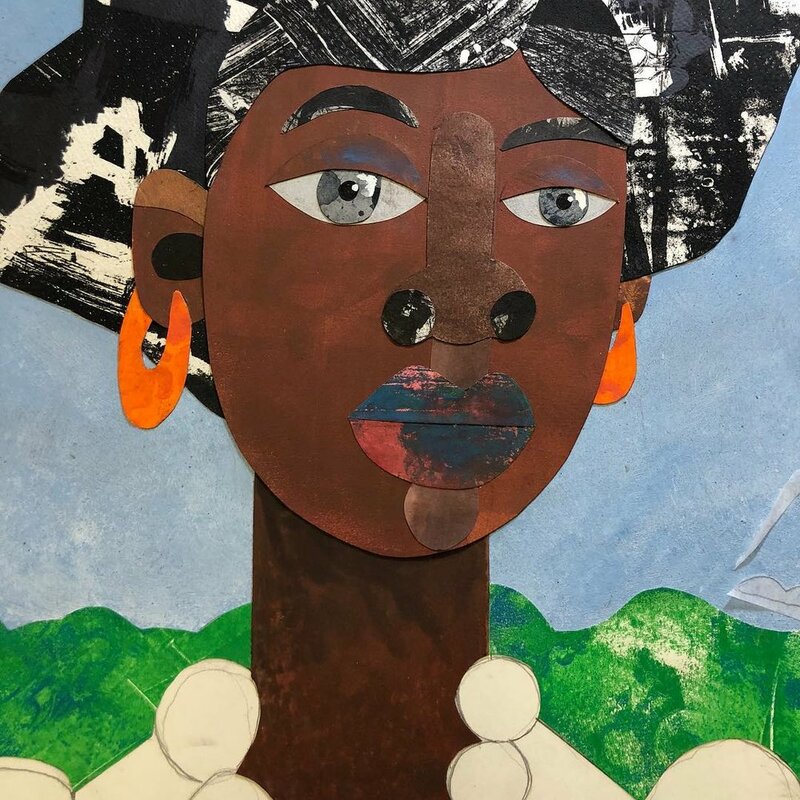 Her ultimate goal is to share the importance of the arts, keep art education accessible, and create welcoming spaces where all are free to express themselves. 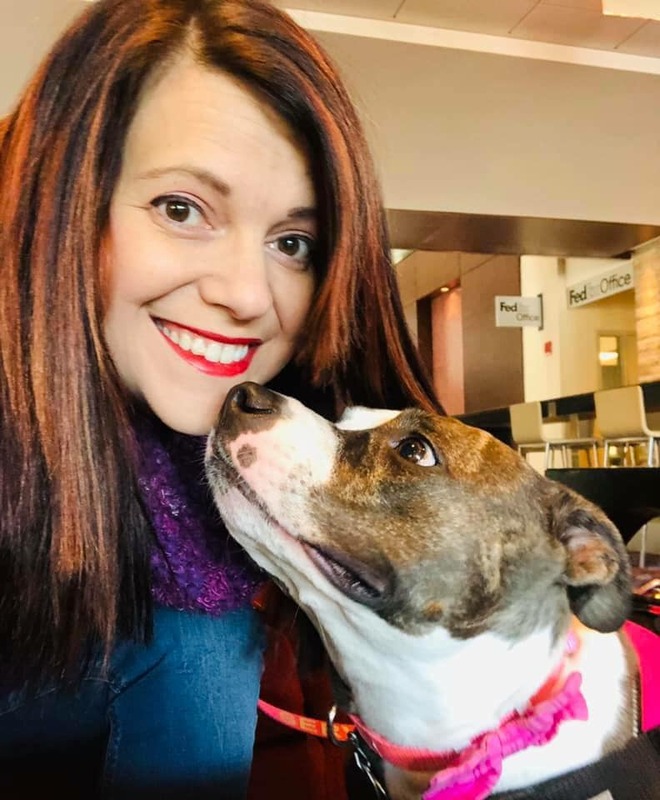 Liala also serves as the Community Outreach Coordinator for SWAN Day MKE 2019. Find Liala on Instagram and at Creative Mornings Milwaukee. Stacy Lee Ollmann is a Milwaukee artist working primarily in mixed media sculpture and alcohol ink. She lives and works a short walk from the beautiful shores of Lake Michigan. You can learn more about her work at www.stacyleeollmann.com. Megan Johnson is a mixed media artist living in West Bend, WI. By layering vintage paper ephemera with paint, various drawing media and found objects she tells evocative stories which speak to universal experiences as well as personal memories. You can find Megan’s work on Instagram and at www.meganwoodardjohnson.com. Happy International Women's Day! Statera takes our name from the Latin word for Balance, so we are super excited about this year's theme: Better For Balance! A balanced world is a better world. How can you help forge a more gender-balanced world? Celebrate women's achievement. Raise awareness against bias. Take action for equality. And that is what StateraArts is all about! As part of our ongoing efforts to increase the visibility of women artists, StateraArts puts the spotlight on women artists every March and April through Support Women Artists Now Day. SWAN Day is an annual international celebration of women’s creativity and gender parity activism. Join us! “The media is in a state of great disruption, but despite all of the change, one thing remains the same: the role of women is significantly smaller than that of men in every part of news, entertainment and digital media.” -Julie Burton, president of the Women’s Media Center. As the mother to two young girls and holder of a Master’s degree in Gender and International Development, Erin Prather Stafford is acutely aware that fixing gender imbalances in the media is key to changing gender disparity everywhere. That’s why she has just launched Girls That Create. Several years ago, Erin joined the production team for WONDER WOMEN! The Untold Story of American Superheroines. The documentary explores the enduring legacy of Wonder Woman and how powerful women are often portrayed in mainstream media. It also encourages girls to be creators of the media they want to see. 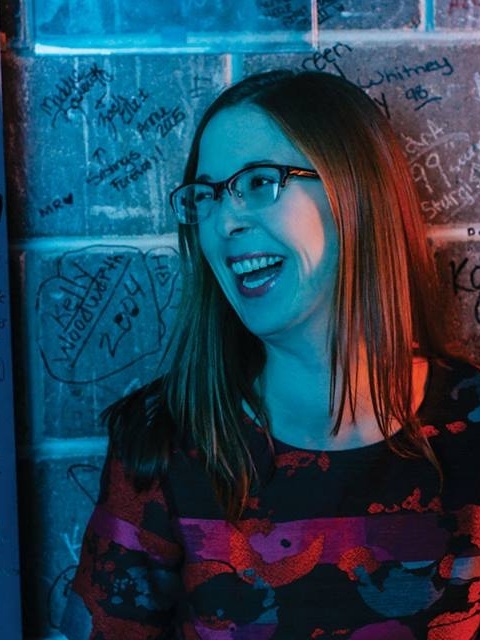 Erin, a freelance writer and producer, became interested in the media’s portrayal of women while earning her communication degree at St. Edward’s University. This inspired pursuit of her MA from the University of Warwick. She also currently serves on the board for the Women Texas Film Festival. Girls That Create will have posts and resources for developing creative thinking, boosting confidence, growing skill sets and constructing beneficial environments. The site will also offer practical tips and product reviews. Visit Girls That Create online at www.girlsthatcreate.com and also on Facebook. It's Wednesday, which means its time for another installment of “An Actress Prepares” with Tiffany Denise Hobbs. 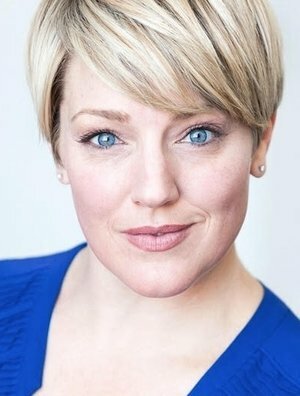 Tiffany’s series offers mentorship for early career theatre artists as well as valuable insight for anyone wanting to know more about what it means to be a working actor. Click HERE to view last week’s episode. Hey Statera! We are in the thick of pilot season and this year. I have been fortunate to have had a couple of auditions for series regulars in upcoming television pilots. For the first of my pilot auditions, I even got a callback and found myself at ABC Casting in New York City for the very first time in my life (mark my word- it won’t be the last). So today I want to talk about a concept that has helped enhanced my outlook on auditions: The Law of Averages. I haven’t a clue what, if anything, will come from my recent auditions, but I don’t believe any of it has been in vain. I also know that there will be more to come. StateraArts launched a social media campaign in January designed to AMPLIFY the voices and work of women artists as part of SWAN Day. The goal is to flood social media every Sunday with images, quotes, and work from women artists. Below are just a few of the incredible artists YOU amplified during the month of February. Who will you amplify this Sunday? March is Statera's favorite month of the year! Why? Not only is it Women's History Month, but we also celebrate International Women's Day on March 8th and International SWAN Day on March 30th! As part of our ongoing efforts to increase the visibility of women artists, StateraArts puts the spotlight on women artists every March and April through Support Women Artists Now Day. SWAN Day is an annual international celebration of women’s creativity and gender parity activism. International SWAN Day events are already underway and you're invited to join us! It’s fun and easy to get involved. Watch the video below! StateraArts launched a campaign in January 2019 designed to AMPLIFY the voices and work of women artists as part of SWAN Day. The goal is to flood social media every Sunday with images, quotes, and work from women artists. Want to get involved in this powerful social action? It’s easy! UPLIFT and AMPLIFY a woman artist using the hashtag #SWANSunday. Post about them and their work. Pick a new artist every Sunday! International Support Women Artists Now/SWAN Day is fast approaching and the SWAN Day Calendar is filling up with some incredible events. One of these is Self-Injurious Behavior by Dallas-based actress and playwright Jessica Cavanagh. “Self-Injurious Behavior”, which had a hit workshop run at Theatre Three's Theatre Too! in 2018, will move to New York for a showcase at Urban Stages in April. The New York run, April 21-May 5, will feature the Dallas cast, and will again be directed by Marianne Galloway. Statera’s Operations Assistant, Evangeline Stott, reached out to Jessica to have a conversation about this powerful show and Jessica’s journey through motherhood, loss, and the process of writing an autobiographical play with the perfect ratio of truth to laughter. Evangeline Stott: Tell me about your process while writing this piece. How long was the writing period? Jessica Cavanagh: I take a four and a half hour drive to visit my son, Elijah, at his school one weekend per month, which I've been doing ever since we admitted him in the summer of 2012 when he was 12 years old. Driving away from him at the end of those visits has always been hard, but that first year, it was excruciating. I would drive, weep, pull over, get myself together, drive, weep, repeat. Then, one day, during the trip back to Dallas, I started thinking of a play about a divorced woman who recently admitted her autistic son to a group home and was now half-heartedly attempting to date (which was my current situation). On a whim, I recorded myself talking about some pretty intense feelings about my kid and birth and parenthood and imagined it as a really inappropriate over-share moment on a first date. That date doesn't actually happen in the play anymore, but the monologue is still there, almost verbatim. Looking back, it kind of provided the anchor for the piece from the beginning. What followed was a bunch of short bursts of inspiration spread out over nearly three years before a full draft came together, mainly because I couldn't spend more than a day or two focused on telling this story without sinking into a pretty gross pit. It was still so raw. Within a couple years, I'd lost my mom in a car accident, divorced my husband of fourteen years, and admitted my child into a group home because he couldn't stop hurting himself. I was just incredibly not okay. The first informal reading of the first full draft didn't occur until September of 2015. ES: With this being such a vulnerable and personal story for you, did you share what you were writing with anyone along the way? JC: After about the first year of random voice notes and writing, I asked a few close friends whom I knew I could trust and whose work I respected to look at the monologue and one early major scene (the toughest in the play, which is based on what I remembered as the worst day I'd ever had with my son). The responses I got really surprised me! People were stunned. Folks who had known me for a decade asked me if this was really true - if what I was writing had really been our lives. I think they were mortified and maybe even hurt to know that their friend had been struggling, and that due to my need to escape my life when I left my house and went to rehearsals or performances, I rarely shared the depths of what we were dealing with at home. And to this day, that's been the most consistent question from everyone who reads or sees the play; people I know, and people I don't: "Is this real?" That question is what made me realize this is bigger than me; this is a story that desperately needs to be told for the sake of every caregiver who sits at home with their loved one and fights despair. So, now I had a mission. And I've always done well with a mission! ES: Can you tell us a little bit about the title, "Self Injurious Behavior"? JC: The phrase "self-injurious behavior" is how doctors and therapists often refer to self-harm, so I heard it a lot over the years in dealing with Elijah. He would bang his head on the hardest, sharpest objects he could find, punch himself in the head with his fists, and bite his arms until he broke the skin, among other pretty horrific things. As I wrote the play the issue of guilt and the idea of punishing one's self for feeling as if you've failed your child and yourself is one that was immediately prevalent in the story and, in fact, became THE story. The connection between my son's self-harm and my emotional self-harm became really clear. We were both beating ourselves to death. ES: What were your biggest challenges in the first stages of writing and developing "Self Injurious Behavior"? JC: I think the biggest challenge was sitting down to do it. I had all these ideas swirling and I had a great NEED to get it all down on paper, but forcing myself to really sit with it and what that meant was just very hard. It never seemed like a good day for that, you know? When is it convenient to revisit the most painful moments of your life? Never, ever. Once I got started, though, I was fine. Until I wasn't, at which point I'd stop. It was always just that first move that killed. ES: How did audiences respond to the production at Theatre Three? Have you had the opportunity to dialogue with any audience members with stories similar to yours? ES: One of my favorite production images I've seen is that of you sitting among the toys and blankets with your son’s Peter Pan-like shadow over you. Can you tell us a little bit about Peter Pan, and the significance of him in this story? JC: My kiddo is obsessed with all things Disney. He had a Peter Pan Halloween costume that he loved, and when he was 11-12, he looked a lot like a cross between Christopher Robin and Peter Pan. I still get mom heart-pangs whenever I see either of those characters anywhere (yeah, he's 19, leave me alone!) It took me some time to settle on how closely I wanted the character of Benjamin to resemble Elijah in the play, but at the end of the day, I decided to keep things simple and tell the truth as much as possible, so I've given Benjamin an obsession with Peter Pan. And, as it turns out, there's just something really lovely and poignant about the parallels between a kid like Benjamin and the boy who never grows up. It felt really right for the play. 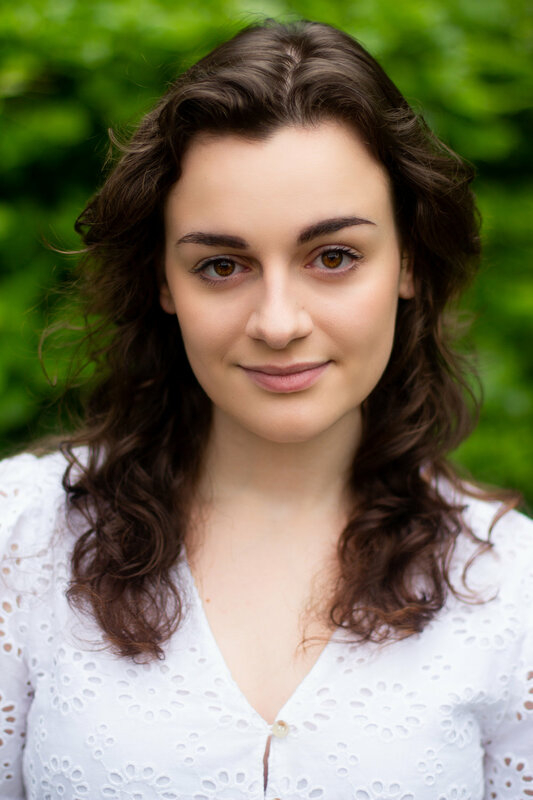 ES: Can you talk a bit about what its like to be a single mother and work in the theatre? Especially being a single mother of a child with special needs? What resources did you have or not have? JC: Well, I was very lucky when my son was younger because my mom lived nearby, so, between her and a couple of sitters who were like family and knew Elijah and his routine and wouldn't flip out if he had a meltdown, I was able to cobble together a childcare team while I rehearsed. I was actually still married at that point, but my husband was in a band and traveled the majority of the time so it was almost always just Elijah and me. And I'll be honest, those years were mostly hell, and to this day, I have such admiration for the single moms I know in theatre who make it happen. Being with your kid all the time is hard. Being with your kid all the time when your kid is screaming and banging his head and never sleeps for longer than two hours at a time is actually dangerous. So, at the end of the day, theatre was my refuge and I did whatever I needed to do and bribed whatever sitter I needed to bribe in order to get where I needed to go. I think I subconsciously knew that it was the only thing keeping me (and subsequently, Elijah) alive, so I fought for it like it was life or death. But, of course, a boatload of guilt accompanied me every time I left the house, because, motherhood. ES: What has it been like to play yourself on stage? How do you feel about doing so again this spring? JC: It’s been different than I expected, thankfully! Super weird in some ways, for sure - mostly to do with the nauseating pre-show jitters every night which have nothing to do with being nervous about the acting and everything to do with knowing the audience is aware (if they read their playbill!) that this is my story and I really said and did many of these things. The fear of judgement was acute, especially when we first opened (I ran to the bathroom a whole lot, y'all.) 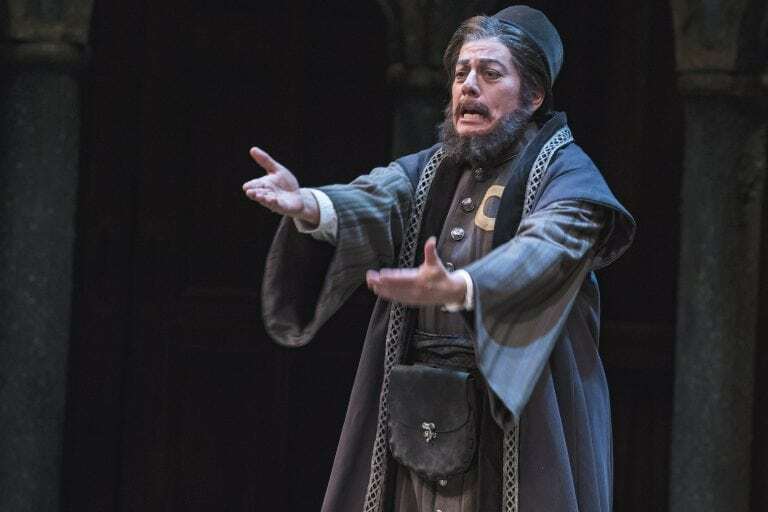 But, thankfully, I've found that once I'm in character out on stage, it's really just like playing any other role. And Summer isn't one hundred percent me. Some pretty major details from my life were changed for the play (I have one wonderful sister, and I gave Summer two, for example, because I just liked the dynamic of three). So, that really helps separate Summer from myself a bit and gives me the freedom to approach her the same way I would anything else. Photo by Jordan Fraker with Jennifer Kuenzer. ES: What are you most looking forward to with this New York production of “Self Injurious Behavior"? JC: It’s so big...this thought of bringing a thing to the NY market. Right now, I keep thinking about the first laugh. The first time I hear a NY audience laugh at something I wrote, I really might just happily drop dead. And I can't wait to look into the faces of my production team and cast mates (now family) on opening night and be excited dorks together! I feel so lucky to get to share this experience with such dear friends, some of whom have been with the play through years of development, such as Marianne Galloway, our director. The blood, sweat, and tears of so many people have been poured into creating this thing, so getting to bring it to NY together is truly a dream come true. ES: How has being Elijah’s mom shaped you into who you are now? What insights have you made because of your role as his mother? JC: Elijah has shaped me so completely that it's almost impossible to pinpoint how. I was twenty-four when he was born, so I was still growing up, myself. He shaped who I was becoming in a very real way. I don't like to think about who I was before he existed, not because I hate myself but because I think he made me infinitely better and I prefer that person. Watching him grow up and struggle against a cruel and terrifying world has made me appreciate goodness and kindness when I find it to a degree that I never did before, which in turn effects my personal relationships. It’s funny how when you learn to value kindness and unselfish love above all things, the toxic relationships in your life tend to stick out like a sore thumb and make your path pretty freakin' clear. ES: Mentorship is at the core of StateraArts' mission. Can you tell us about your mentors and how they have guided you and your work? JC: I feel like I've had seasonal mentors - people who cross my path at a certain point to guide me through a certain thing, be it spiritual or artistic. Lately I've felt the nudge to find a seasoned, female-identifying playwright and be her spongey sidekick, just soaking up all her wisdom. I had some wonderful guides as I put Self-Injurious Behavior together and I'm so incredibly grateful to them! The thing is, they're all men, and I'm feeling a strong urge to connect with other women right now, particularly in the professional realm. So, HEY, if Paula Vogel just happens to be reading this and feels like having a weird rando obsessively trail her (and almost definitely ask far too many questions about Indecent), I'm your girl, Paula! ES: And lastly, is there anything else you'd like the StateraArts community to know about you and your work? JC: I’ve rambled way too long already!! I'd rather take the opportunity to say how much I appreciate StateraArts and your mission, and your willingness to talk with a new girl about her thing. Y'all rock. Thanks for all you do! Interested in attending a performance of “Self-Injurious Behavior” in NYC? You’ll find it on the 2019 SWAN Day Calendar HERE. 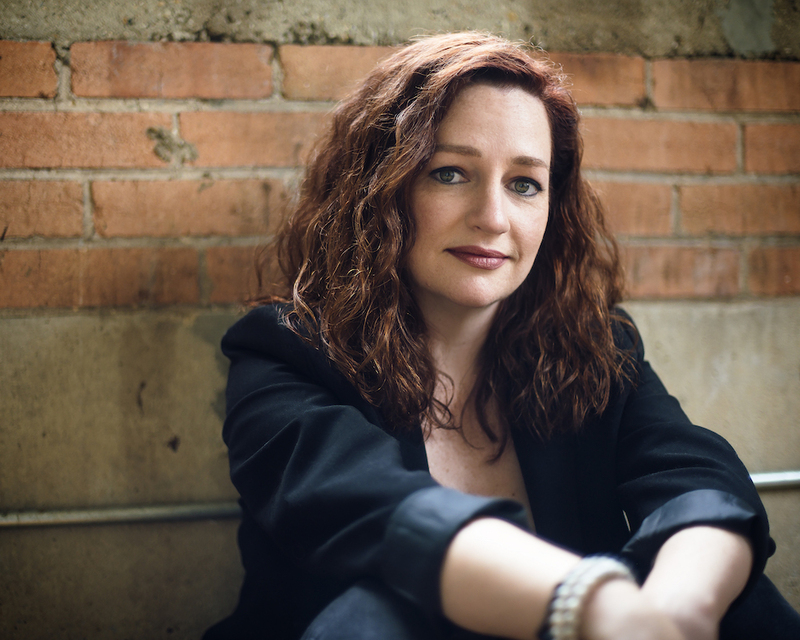 Jessica Cavanagh is a Dallas-based theatre artist, voice talent, and writer whose work in the DFW area spans the past fifteen years. 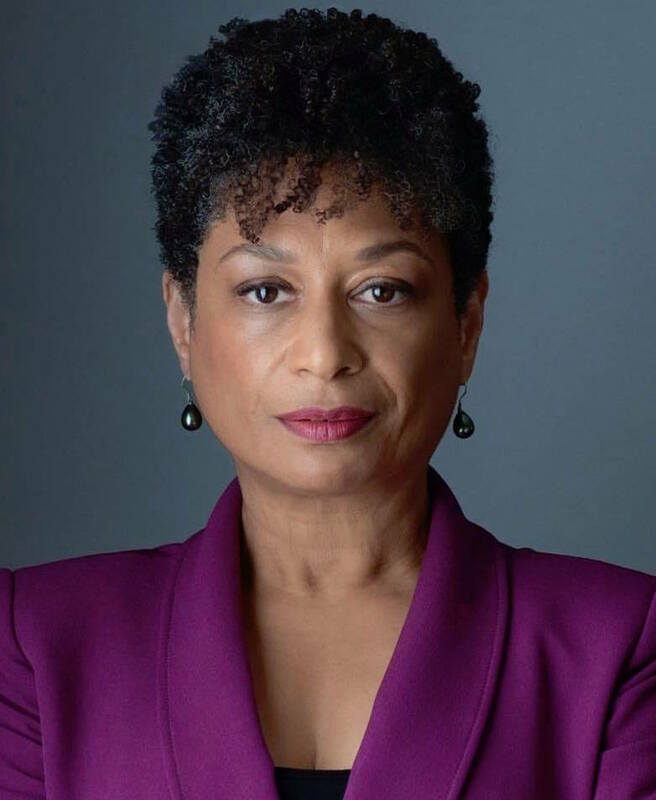 As an actor, she’s been recognized numerous times by the DFW Critics Forum as well as the Column Awards, including last season’s Critics Forum Award for her semi-autobiographical role in her play, Self-Injurious Behavior (Theatre Three). Selected regional acting work includes: Outside Mullingar, August: Osage County, Doubt, and The Glass Menagerie (all at WaterTower Theatre), Heisenberg (Theatre Three), Mr. Burns: a post-electric play (Stage West), ‘Night, Mother (Echo Theatre), and Port Twilight (Undermain). As a staff writer with Funimation Entertainment, she’s adapted hundreds of episodes of Japanese anime for an English-speaking audience and has also worked extensively as an actor in their English broadcast dubs, so you can hear her giddily voicing roles on Cartoon Network in shows such as Attack on Titan, One Piece, and My Hero Academia, and many others. Last week, StateraArts announced that Isabella Abel-Suarez was joining the Statera team as Executive Assistant to Melinda Pfundstein. Isabella is an actress, singer, and dancer from Las Vegas, NV. She is a graduate of Southern Utah University with a BFA in musical theatre and a minor in dance performance. During her final year at SUU, Isabella served as artistic director of Second Studio Theatre Company, a student-run theatre organization. StateraArts is thrilled to be working with Isabella and invites you to learn more about her at www.stateraarts.org/abel-suarez. 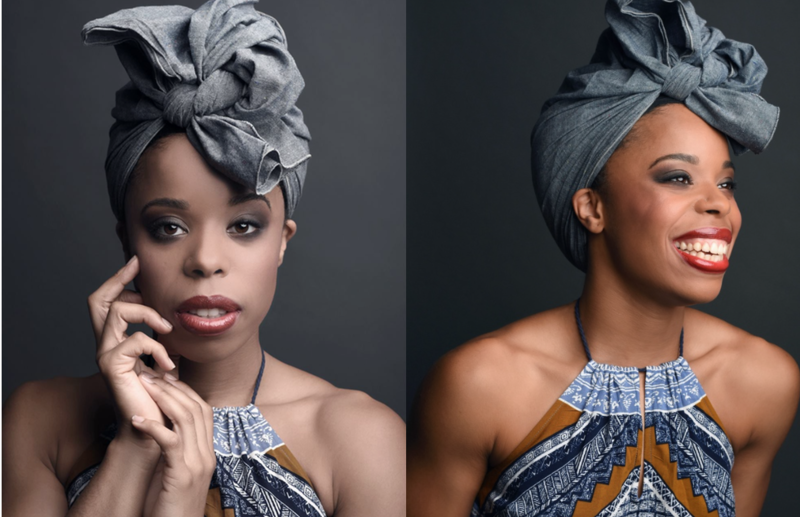 It's Wednesday, which means its time for another installment of “An Actress Prepares” with Tiffany Denise Hobbs. Today’s offering is for ALL ARTISTS - it applies to everyone! 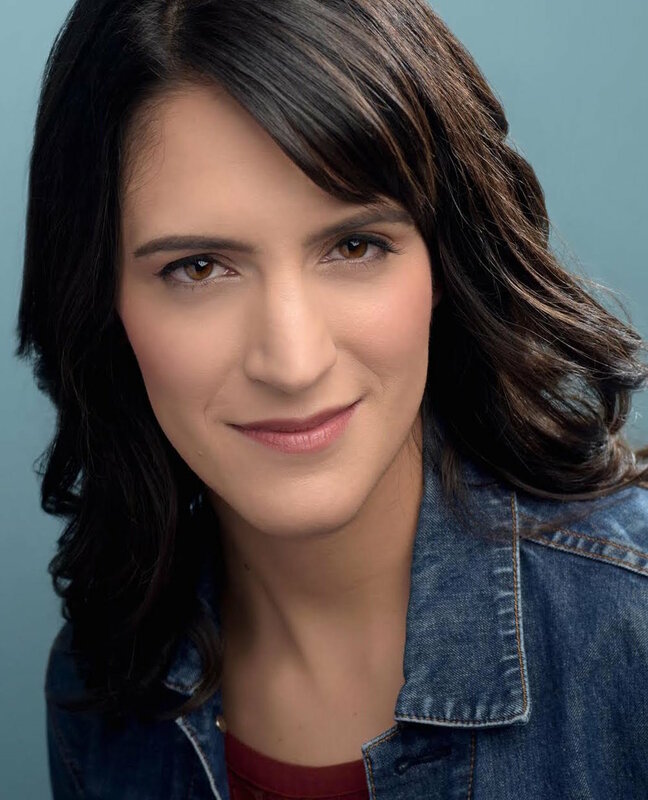 Tiffany’s series offers mentorship for early career theatre artists as well as valuable insight for anyone wanting to know more about what it means to be a working actor. Click HERE to view last week’s episode. Hello Statera and welcome back! In this episode, I talk about self-care as an actress and one of my favorite ways to do it: with the help of Julia Cameron's "The Artist's Way". 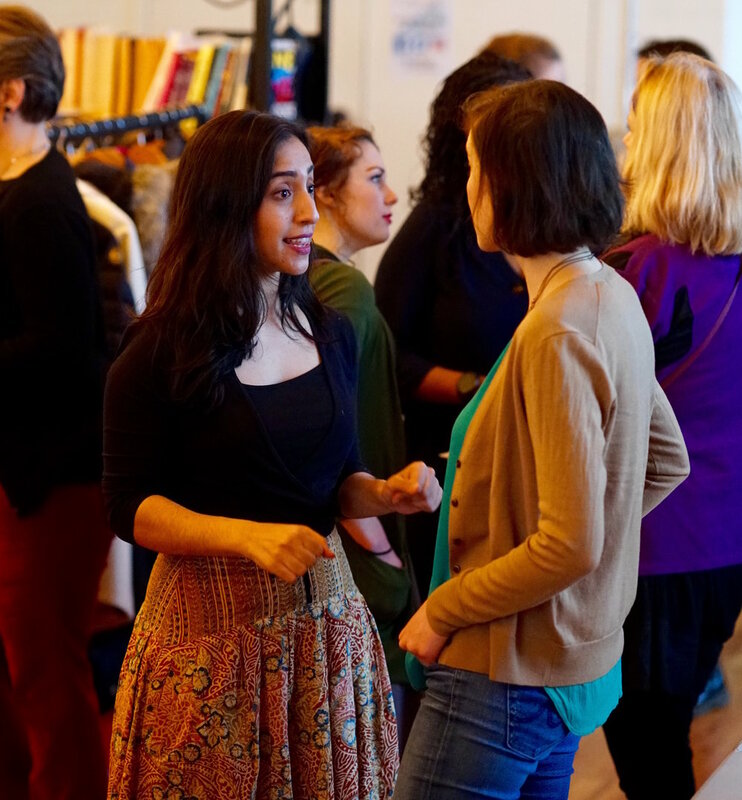 Statera Mentorship Chapters Explode Across the U.S.
Mentorship is at the core of Statera's mission of taking positive action to bring women* into full and equal participation in the arts. Melinda Pfundstein, Statera’s Executive Director, said, “Professional mentorship for women is a positive, proactive, and proven way to counter gender imbalance in the workplace.” And as Nataki Garrett highlighted in her keynote at Statera’s national conference last October, mentor relationships build stronger talent pipelines for open leadership positions in the arts industry. A flourishing mentor relationship helps both mentor and mentee organize their professional challenges, nurture their creative ideas and activate their personal gifts. 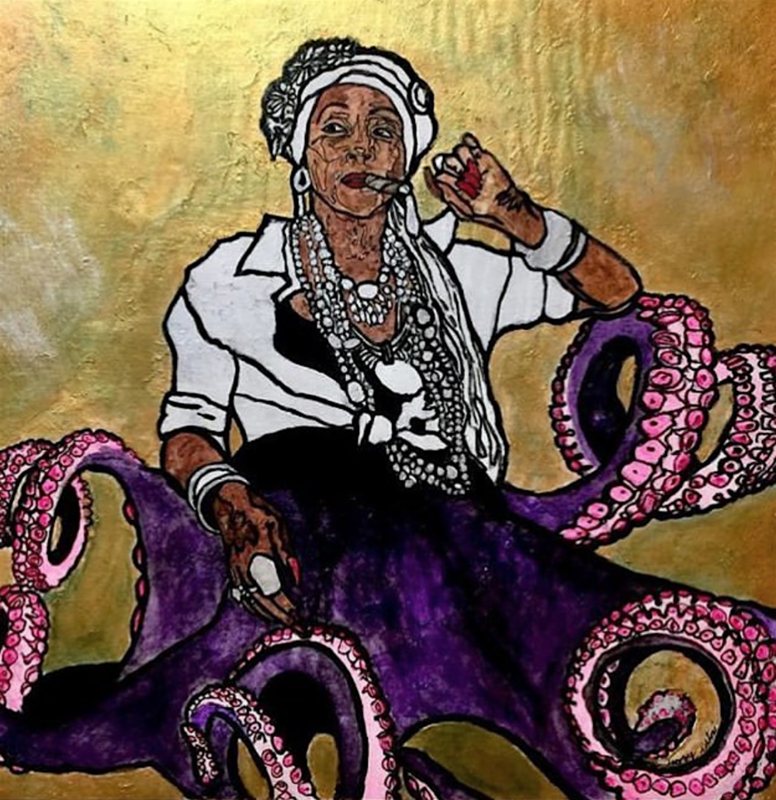 StateraArts works to connect women artists interested in moving beyond the very real obstacles that sometimes lie between their goals and their opportunities. The duration of each mentorship class is 6-months. StateraArts runs the program from January-June and July-December. In addition to one-on-one engagement with a mentor/mentee, each Mentorship Class enjoys a networking mixer with the entire class. While classes are already underway in Chicago and North Carolina, the newly formed chapters will start their first class of mentorship pairings on July 1, 2019. New chapters include Boston Area, California Central Coast, Ithaca, Los Angeles, Louisville, Milwaukee, New York City, Philadelphia, Rhode Island, San Francisco Bay Area, and Southern Texas. And plans are already in the works for chapters in Alabama, Dallas / Fort Worth, Iowa, Salt Lake, Seattle, Southern Idaho, and Southern Utah. 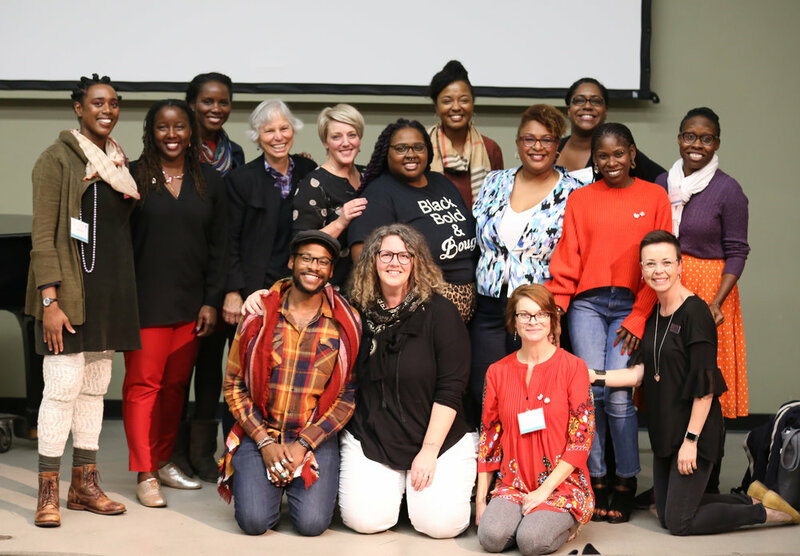 “Establishing a Statera Mentorship chapter in your community is an incredibly rewarding and exciting endeavor - and you don’t have to re-invent the wheel,” says National Mentorship Co-Director Erika Haaland. StateraArts has created materials and resources that will equip regional coordinators with the tools they'll need to create a lasting and successful program. They’ll have access to organizational systems, email templates, the Statera Mentorship Field Guide, and face-time with Statera’s National Co-Directors. 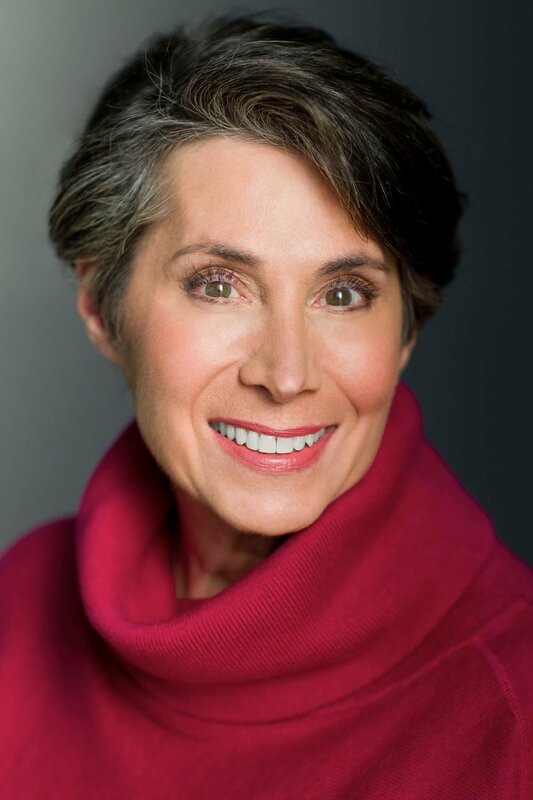 Lia Mortensen, a 30-year veteran actor in Chicago, went through the program last year. She says she was thrilled to be a mentor and give back to women in the business. "There was nothing like this when I was starting out,” said Mortensen. 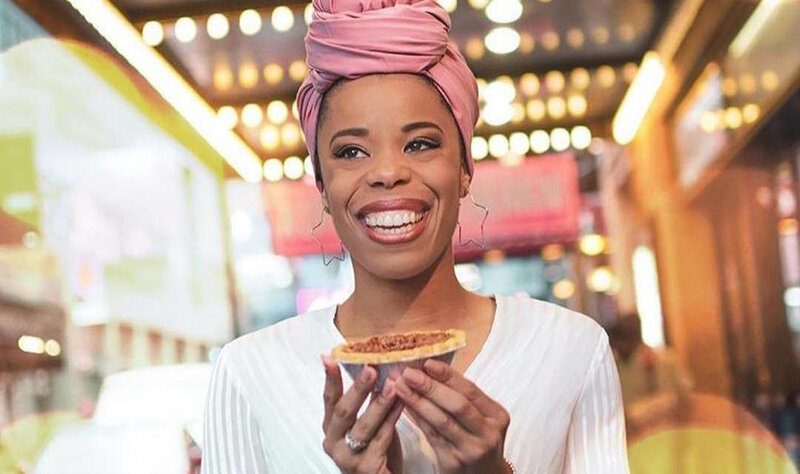 “Not only has it been an intensely rewarding experience to help my mentee in all areas of Chicago theatre, but I also discovered the wealth of knowledge I have attained over the years and the immense value of it." This is a love letter to YOU - our incredible donors and supporters! Whether you donated directly, became a member, participated in Statera Mentorship, attended our conference, wrote for the Statera Blog, volunteered at an event, or supported a program with your time and energy, YOU have contributed to the success of Statera’s work for gender balance in the arts. Thanks to YOU and the support of the entire Statera community, 2018 was the most expansive and exciting year StateraArts has ever had. ...for supporting the national expansion of Statera Mentorship with the launch of 15 new regional chapters (and more coming). ...for supporting our third National Conference in Milwaukee! Your contribution allowed us to bring in theatre and film luminaries like Hana Sharif, Simeilia Hodge-Dallaway, Gail Barringer, and Nataki Garrett to give touchstone addresses. ...for supporting the launch of our free resource directory, which houses a treasure-trove of valuable information for emerging and established artists alike. ...for supporting the launch of Statera Membership- a community for anyone interested in advancing their art careers through the lens of intersectional gender-parity. ....for supporting the Statera Team (pictured below). Your donations have allowed our organization to transition from an all-volunteer team to one that is supported in the work. 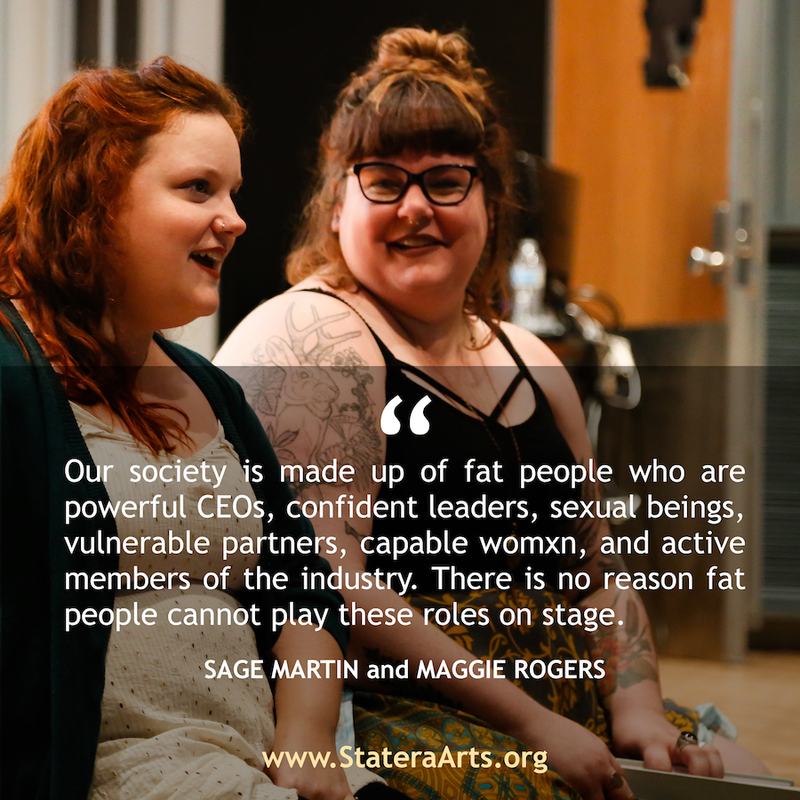 It is an exciting time at StateraArts and we owe it all to you! into full and equal participation in the arts. 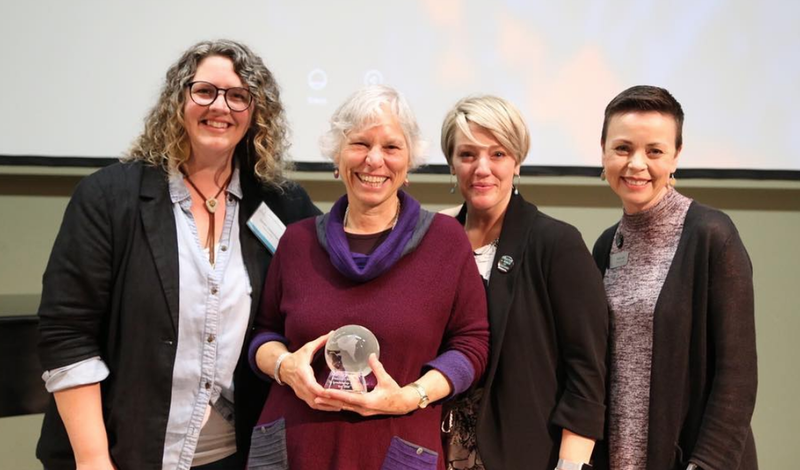 Nominations for the 2019 Martha Richards Visionary Woman in Leadership Award open on April 1, 2019! This is your opportunity to amplify and celebrate the work of a Visionary Arts Leader in your community! Everyone is invited to submit their nominations throughout the month of April. The online submission form will be available HERE beginning on April 1st. This award, established in Martha Richards’ name, is given annually to a visionary woman* who uplifts, amplifies, and advances women in the arts. 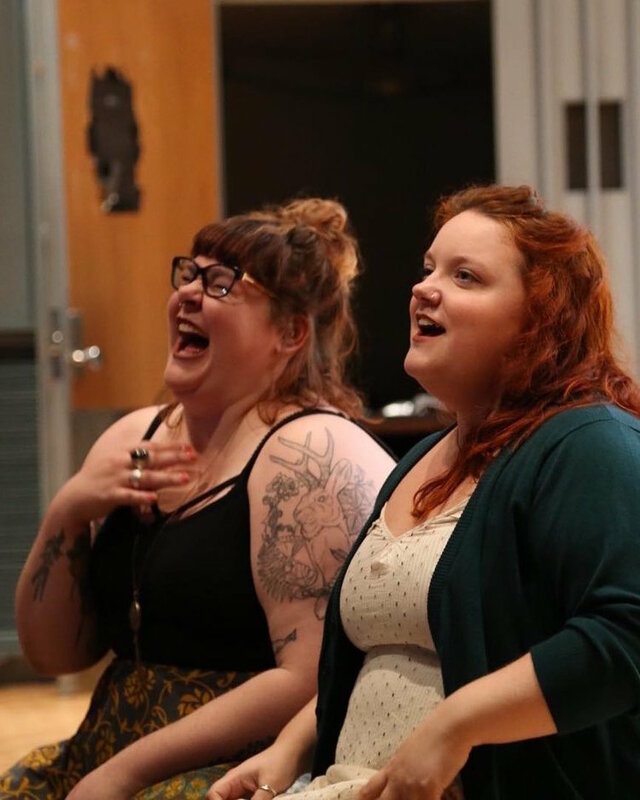 StateraArts established this award to recognize outstanding leaders and support the work of women and TGNC (Trans / Gender Non-Conforming) arts leaders who are creating pathways for other women leaders.